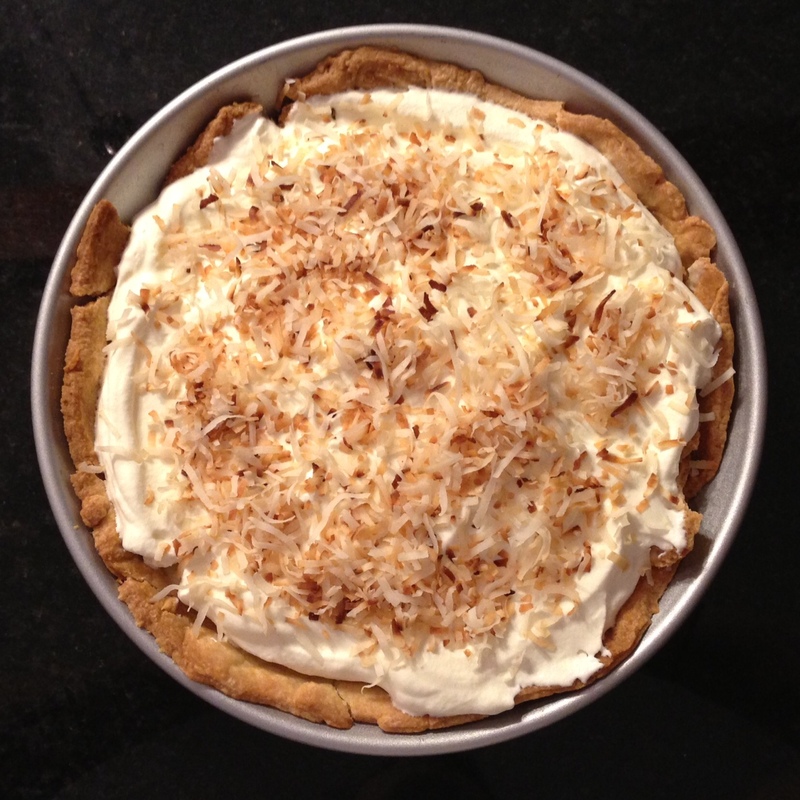 As much as I love all things coconut, I had never tried coconut cream pie until about a month ago – when I made it for the first time. I think the thought of the texture had always weirded me out (I’m not a huge fan of the texture of pudding – and the pastry cream filling has a very similar consistency). But, when I started planning a dinner for my dad for Father’s Day, I remembered that he loves coconut cream pie, and I decided that I should give it a shot! Thankfully, in my old age, I realized that a coconut pastry cream + a pile of whipped cream would likely be pretty delicious – and I was certainly not wrong. *This is a recipe that’s best started the day before you intend to serve it. 1.) In a medium bowl, whisk together the salt, eggs, egg yolk, 1/2 cup sugar, and flour. Once that mixture is combined, add your coconut milk, 3/4 cup of the heavy cream, and 1 1/2 cups of the shredded coconut to a medium sauce pan over medium heat. Let the cream and coconut mixture come to a simmer, whisking often. 2.) When the milk mixture comes to a simmer, remove it from the heat, and add the hot mixture to the egg mixture, a couple tablespoons at a time, whisking vigorously as you do so. 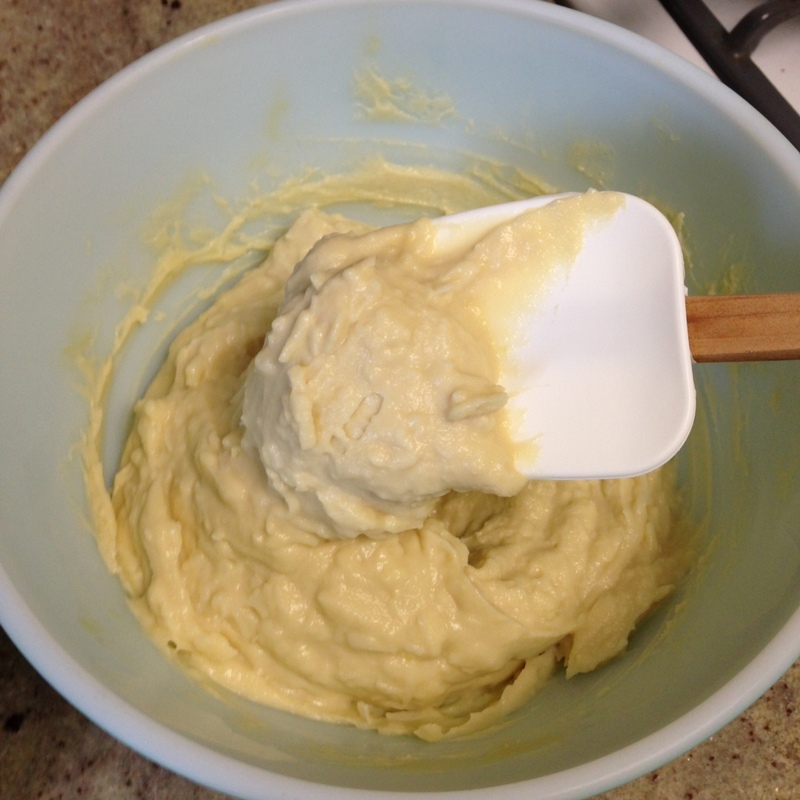 Continue adding slowly and whisking, until the two mixtures are totally combined. 3.) Pour the egg/milk mixture back into the saucepan, and return it to medium heat. Allow the pastry cream to cook until it thickens slightly and comes to a boil – about 2 to 3 minutes, whisking constantly. As SOON as it comes to a boil (look closely, you’ll see just one or two large bubbles rise to the surface, since it’s pretty thick), remove it from the heat, and whisk in the vanilla. 4.) Transfer the pastry cream to a medium bowl, and cover the cream with plastic wrap, pushing the plastic wrap directly onto the surface of the cream (this prevents the pastry cream from forming a skin). Refrigerate the pastry cream until it is completely chilled – at least 3 hours, but preferably overnight. 5.) While the pastry cream chills, bake your crust. Press the crust into a 9″ pie pan, and bake as directed, until the crust is lightly browned and fully cooked. 6.) 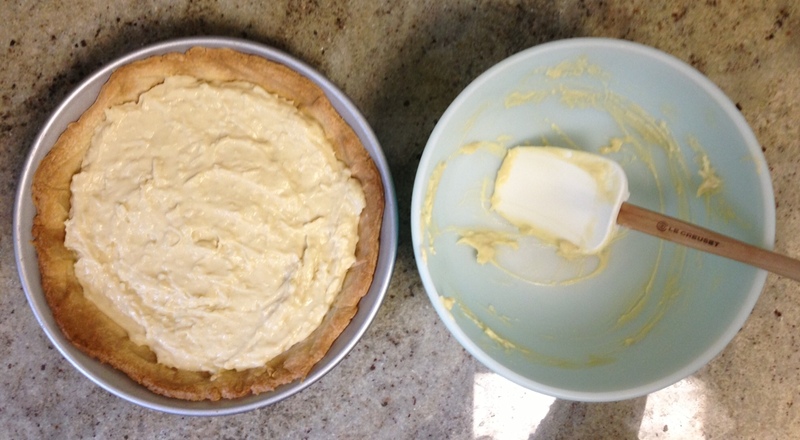 Once you have a completely cool crust and pastry cream, use a rubber spatula to spread the pastry cream into the pie shell. At the earliest, I would do this the morning of the day you plan to serve the pie. Cover the pie tightly with plastic wrap and refrigerate until you’re ready to add the final toppings and serve. 7.) To make your whipped cream topping, simply whip the remaining 3/4 cup heavy cream until soft peaks form. When you’ve got soft peaks, sprinkle in 1/4 cup sugar, and continue whipping until firm peaks hold. 8.) And the final piece – the toasted coconut. 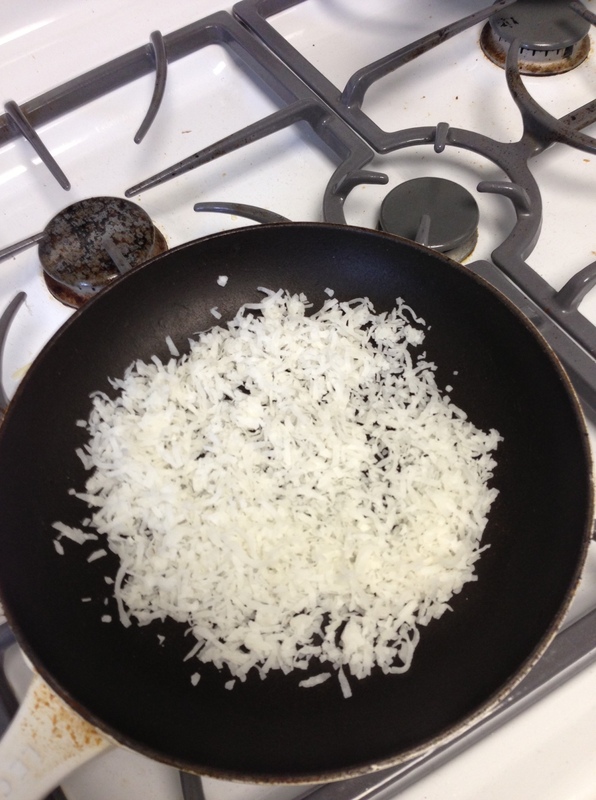 Sprinkle 1 cup shredded coconut into a dry skillet. Place the skillet over medium heat, and stir the coconut until it is nicely browned and crisp. Do NOT turn your back on the coconut – it’ll go from totally uncooked to burnt in about 15 seconds, if you’re not careful. 9.) 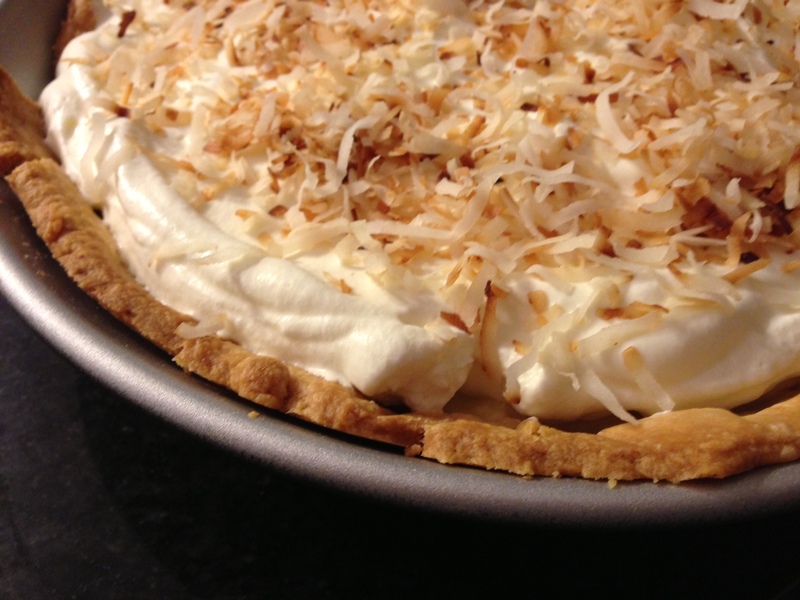 When you’re ready to serve the pie, spread the whipped cream over the top of the coconut pastry cream, and sprinkle with the toasted coconut. Slice and serve! I know this seems like a complicated recipe with a million steps – and there is certainly a lot going on! But, I promise you it’s not hard; it just takes a little patience and time, and you’ll be left with a delicious pie! I swear, I could eat the rich, silky coconut pastry cream straight out of the bowl with a spoon… and one of these days, I just might make a batch just for that purpose. I just wanted to give you a heads up that I posted your Brown Sugar Oatmeal Coconut Chewies on my blog. I did link back to your site for the recipe and to acknowledge your awesomeness. Hi Shelly! Thanks for the heads up, and also for linking back – I appreciate it 🙂 I’m so glad you enjoyed the cookies, and I hope your readers will, too!